dvuk is using Smore newsletters to spread the word online. 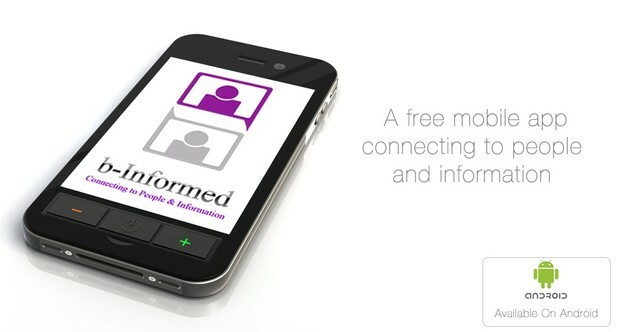 b-Informed is a mobile app which provides a secure and convenient way to access information. It’s a web-based service which offers a programmed helpline of your choice as well as a list of the support organizations locally available to you. The design is simple and it takes two touches to get help and information.